For Doraemon fans, the house of Nobita family (Nobita’s House Map), situated in the suburban of Tokyo, is a familiar and iconic scene. Now witnessing your childhood memory in an epic scale! Many interesting and exotic ordeals of Doraemon and Nobita had taken place in this house. However, Fujiko Fujio had yet to describe the house in details. It is of great fun for me, to be able to fully explore the house of my childhood, which I could only imagine before. Now with this mod, I am able to explore every corner of this iconic locaiton. The house is not just recreated in great details, many unexpected details are also included. 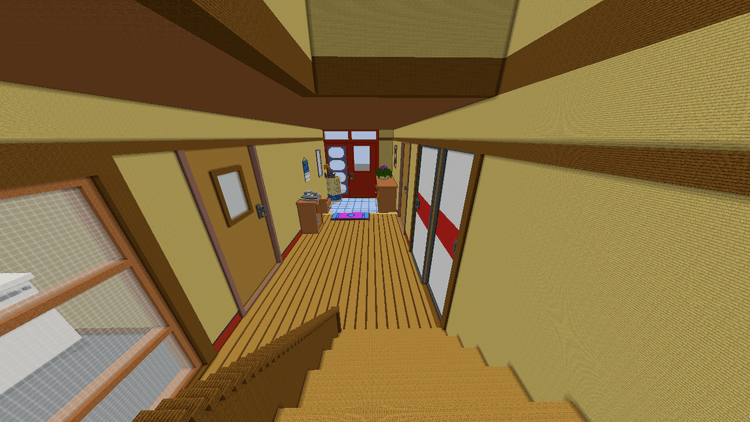 The main hallway that leads into the house. 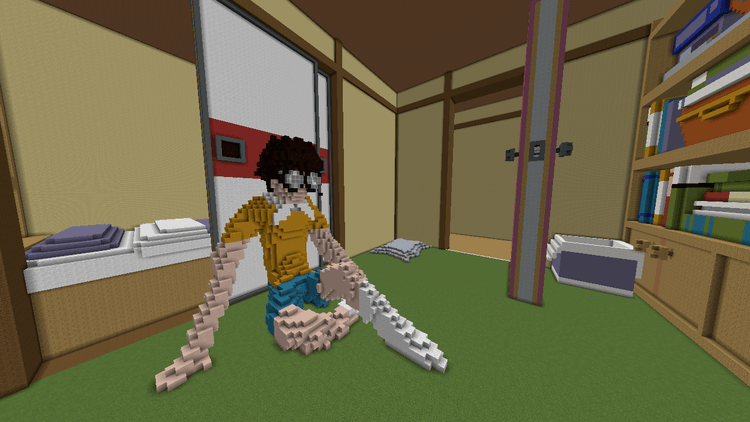 The giant Nobita who is sitting around doing something. 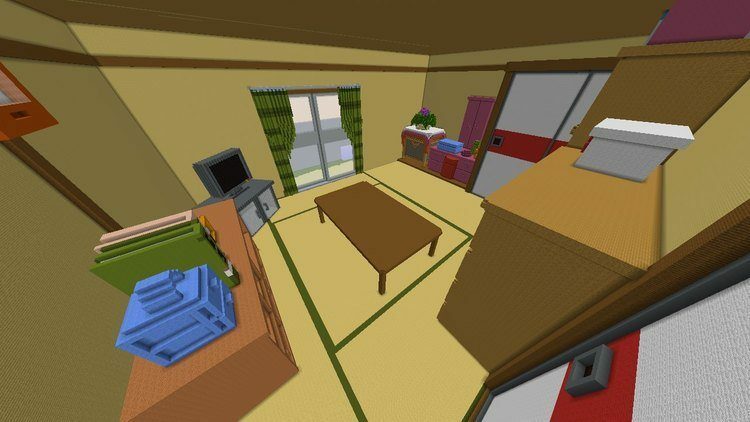 This is the living room, where Nobita usually sneak past his mom to go out.